Translucent: Orange, Red, Green, Blue or Purple. IMPRINT AREA: 1 1/4" W x 1" H.
PACKAGING: Cello Bag, 250 per carton @ 17 lbs. SET UP CHARGE: $40.00 per position. $25.00 on re-orders. SECOND SIDE IMPRINT: Add 0.20 per piece, per position. Can't find your cell phone? 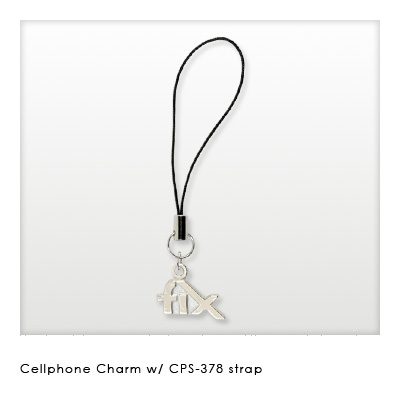 Then this item is a must! 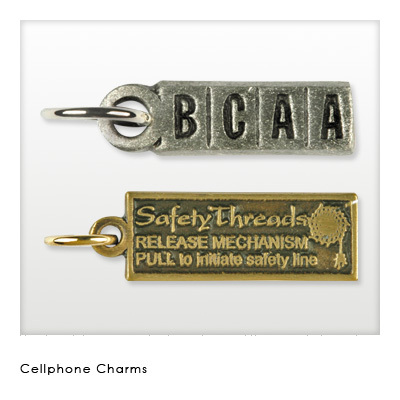 Perfect for home, office, and car! 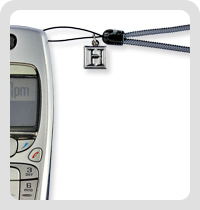 This items cradles your cell phone so you always know where it is! Available in a variety of colors. 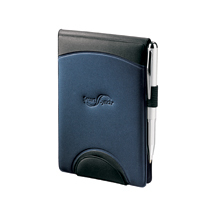 The soft padded construction of this jotter makes it comfortable to use each day. Use it to outfit customer service reps who field a lot of questions over the phone, or offer it as a raffle prize at networking meetings. Interior organizer includes business card pocket. Includes 3" x 4" lined notepad. Slide this jotter in a pocket and go. 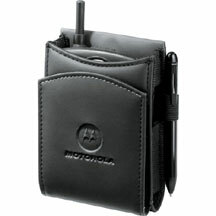 It comes with 3.125" x 4.625" unlined notepad, a pocket for business cards, and an elastic pen loop. 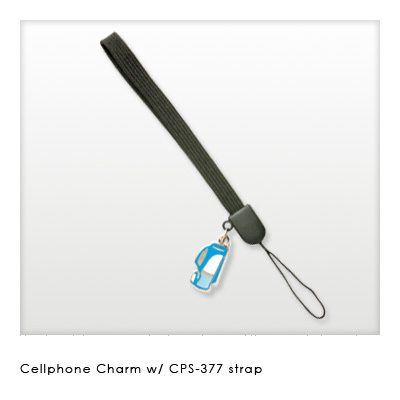 It's the perfect companion for professionals who spend a lot of time on the move and on their cell phones. 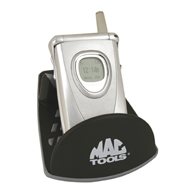 Keep PDAs and cell phones within fast reach. 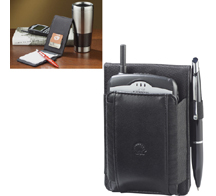 This e-organizer case is comfortably padded for protection and clips easily to belts or purses. 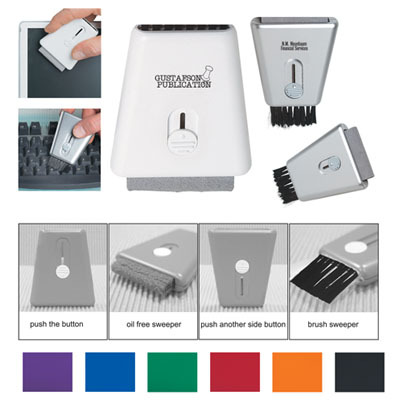 It features a 3X3 unlined notepad, an external elastic pen loop, and velcro closure to keep electronics safe and secure when on the move. By adding an elastic pocket to the exterior, we�ve created a jotter that doubles as a carrying case for a Blackberry, cell phone, or MP3 player. 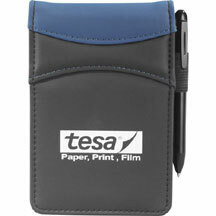 Multiple business card pockets and pen loop add versatility. Includes 3" x 4" writing pad. 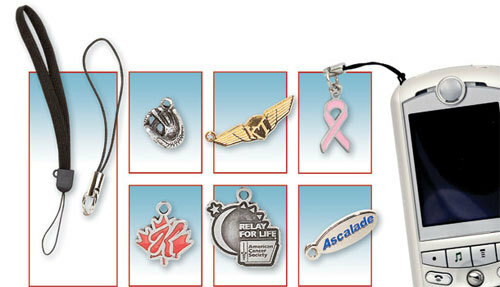 Great for branding, name recognition, event giveaways, participation gifts. Price includes Custom shape charm/emblem & Individual polybags.